fa·ble (fa´b’l), ), n. [ME; OFr. < L. fibula, a story < fari, to speak; see FAME], 1. a fictitious story meant to teach a moral lesson: the characters are usually animals. 2. a myth or legend. 3. a story that is not true; false-hood. 4. 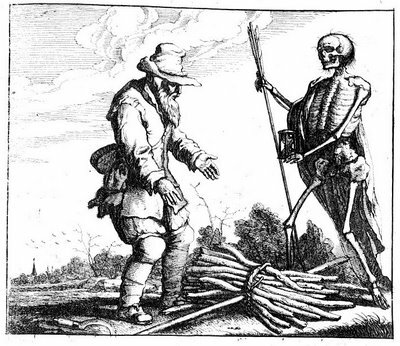 [Archaic], the plot of a literary work. v.i. & v.t. 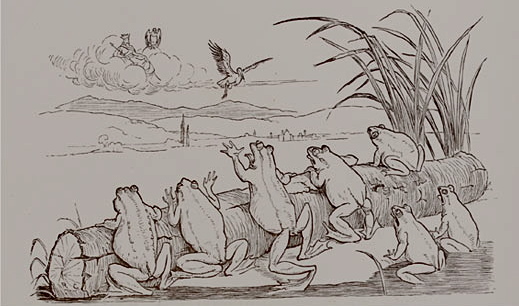 [FABLED (-b’ld), FABLING], to write or tell (fables, fiction, falsehoods). When I was small, my dad used to read to me every night before bed. 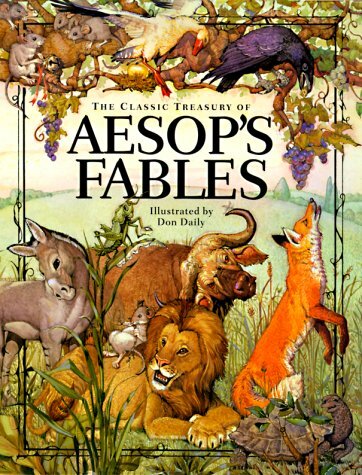 One of my favorite books for a time was an illustrated paperback collection of Aesop’s Fable. 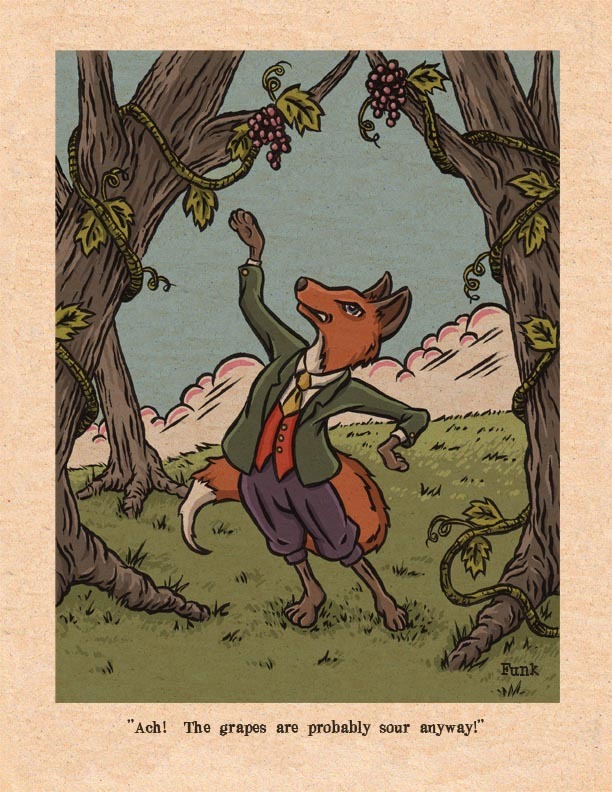 Although I’m sure I would remember more if I thought about it, the one that stands out most vividly to me is the story of “The Fox and the Grapes.” Maybe it was because I liked the way that the fox was drawn (or at least how I remember him begin drawn) with a bright orange in a suit and bowtie or because I liked grapes. For whatever reason, I remember requesting that story more than the others. 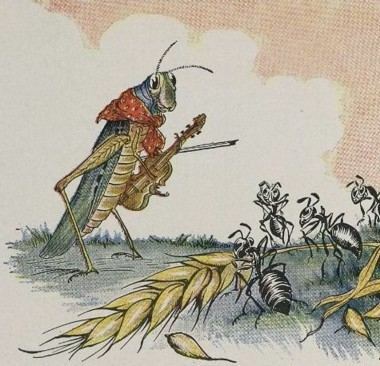 Perhaps one of the reasons I loved Aesop’s fables is because I was a very serious child. I was a very serious child who was good at following rules. I liked rules and structure. For some reason, from a very young age, even though I was in a home that was stable with two parents who loved and supported me, I had a sense that the world was an instable, chaotic place. Rules and boundaries brought order. They made me feel safer. When I was in fourth grade, I decided to run for student council representative. My parents and I spent hours coming up with a campaign and writing “For a good deal, vote Lisa O’Neill” on the edges of playing cards covered in red hearts and diamonds, black spades and clubs. But when the day came to make speeches, I was terrified. I cried. I made myself sick with worry and my parents let me stay home from school. Problem solved, I remember thinking. I was relieved that it was all over and even though I still wished to be on student council, I felt better. But when I returned to school, I found that they had postponed the election for me. Mrs. King, my fourth grade teacher, asked me to come to the front and give a speech. I was stunned and completely unprepared. I said something I don’t remember for about ten seconds and then sat down. Liz Heard won (her campaign had involved something with lizards). I remember being caught off guard by having a chance to give the speech even though I wasn’t there the day the election was scheduled. Mrs. King was not following the rules, and I found it disconcerting. I took solace in the clarity of each story, the simple answers, the ease with which I could understand how Aesop arrived at each moral. The problem is that these morals are without context. There are no tips or explanations of how to apply them to our lives. “Better no rule than cruel rule” is a nice enough saying, but what do you do if you have no control over who the ruler is? How do we “prepare for days of necessity”? What does “days of necessity” even mean? When I was ten years old, my parents and I traveled to the Southwest to explore the Grand Canyon. We flew from our home in New Orleans to El Paso, Texas. Because we had arrived early in the day, my dad decided it would be fun to take an impromptu trip to Mexico. This was before you needed a passport to make the passage. Neither one of my parents had been to Mexico and neither knew what to expect when we crossed over into Juarez. Crossing the border only took a few minutes and then we were there. I had been lying down resting in the back seat. I remember sitting up and immediately being greeted with the faces of children my age, but skinnier and with brown skin, who reached their arms out, cupped hands towards our car and the cars in front of us. I don’t remember if we gave any of them change, but I think we kept driving. Ten feet later, there were more children, and then more. Their clothes were torn. Their eyes were vacant. Watching them, I began to cry. I asked my parents where their parents were. I asked them why they had to beg on the street for money. I don’t remember exactly what my parents offered up as an explanation, but I do remember that for the first time ever, my parents did not have a real answer. They couldn’t give me a good reason why these children were poor instead of me or why they didn’t have any food. They couldn’t explain my grief away. I wish that life was as easy as “We would often be sorry if our wishes were gratified” but the truth is that we often would be satisfied or healthy or happy if our wishes were gratified and we struggle when they are not. Fables are helpful only to explain values to young children who don’t yet have the level of understanding to understand that morality is complicated. 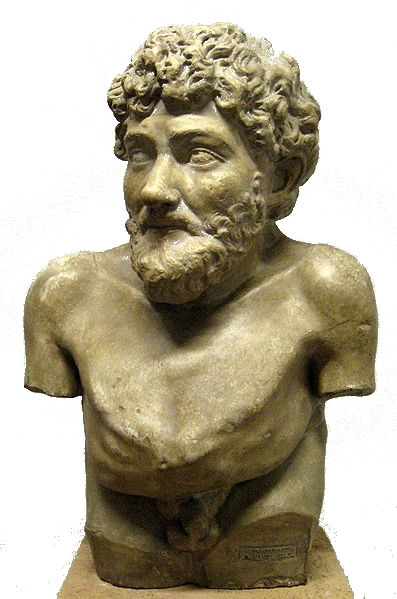 Although biographies of Aesop’s life hold contradictory information, most concur that he was a slave and many reference that he was not attractive or even that suffered from physical deformity. Some mention that he had a speech impediment from early youth. Given this information, I see his fables differently. It seems possible that, for him, these moral lessons were a coping mechanism. “It is easy to despise what you cannot get” seems fitting for someone born into slavery, someone who cannot be handsome, someone who cannot speak clearly. Were the stories he created ways for him to reconcile with his own challenges and impediments? Did they serve as a way to make him feel better regardless of his limitations? Did he create moral lessons that made his individual problems feel more tolerable? There can be beauty in simplicity, but sometimes there is real limitation. I think of people who quote a Bible verse with no regard for the verses before or after to make their argument. Sometimes, we just have to be okay with the fact that the choices that we make in this life and the way that our lives are intertwined with others are infinitely complicated. This somewhat relates to the third definition of the word: “a falsehood.” We have all heard of lying by omission. Although fables tell us a moral through story, they assume that our lives will play out the same as in the stories. But the truth is that there are no easy solutions for how to make decisions or how to be a good person. We do the best we can. We make mistakes. We discern given our situation what the best steps to take are. And sometimes, the fables may apply. And other times, we have to tap into our own mind and heart and write the parting lesson ourselves.